Visitor medical insurance (also commonly referred to as visitors health insurance or visitors insurance) is a highly recommended and best form of travel medical insurance required especially for visiting USA or international travel to any foreign destination. Visitors insurance plan offers the visiting traveler or tourist with visitors medical coverage protection while visiting USA or during travel abroad. With the increase in visitors to USA, and travel to other western countries by citizens of all nationalities, travel health insurance is highly recommended considering the cost associated with health care in developed countries for visitors traveling to countries such as USA, UK, Europe, Canada, Japan, Australia, New Zealand, UAE, etc from nations such as India, China, South Africa, Mexico, Brazil, Russia, Korea, Philippines, etc. USA Visitor Insurance reviews is needed for every American visitor insurance plan requiring visitors insurance coverage protection in the United States (U.S.) or Canada or for coverage outside home country. To have a safe and worry-free vacation, travel, holiday, or extended stay in a foreign country, it is very important that the tourist or traveler be adequately covered with a visitor insurance policy plan that includes accident and sickness coverage with international travel medical insurance protection from a reputed visitors health insurance provider. The premiums collected by the insurance company provider will pay for the injured or sick visitors medical bills if needed during your visit to a foreign country. You remain covered under the visitors medical insurance policy until you are paying the required premium for the plan. The usefulness of the visitor insurance policy is accounted on the basis of the method with which you subscribe to it. You can sign a plan to cover for parents, family or friends visiting abroad – outside of their home country or visiting USA on a visitor visa. Visitor medical insurance is best purchased from the country you are planning to visit. Visitor insurance plan can be purchased with no medical checkup requirements, and most plans offer free quotes with instant same or next-day coverage. The main reason being it is advantageous to the traveler to obtain a locally networked visitor medical insurance plan as they have in-network billing through a recognized preferred provider network (PPO). Make sure you join a visitors health coverage plan from a company who has office or center in the country which is to be visited. Though the premiums for such countries are higher, such plans are a better choice because of the convenience of claiming for your compensation, which is guaranteed in this case. The reason why it is convenient is that the doctors or hospitals in that country accept the visitors insurance cards of companies having centers in the country that is visited by the traveller. Pre-existing conditions (defined as any health/medical condition that manifests and exists before the purchase of the visitor insurance plan) are determined by the physician or doctor who treats the individual who then submits a physician report as ordered by the visitors insurance company. Pre-existing conditions are generally excluded from coverage, and any claims submitted will be denied by the insurance company claims department, and this detail is normally listed in the plan exclusions section in the plan brochure. However, there are very few visitors insurance pre existing condition plans that offer limited benefit amount for certain pre-existing conditions such as relapse of heart attack, stroke, etc. 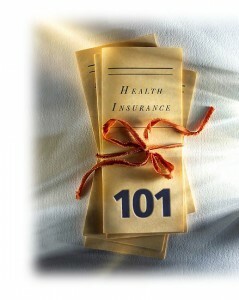 It is always best to refer to the plan brochure for details of what medical condition is covered and what is excluded. The doctors and clinics are generally reluctant to accept the travel health insurance cards of some other country or certain medical institutes may not be familiar or associated with your native insurance providers. It becomes easy for the hospitals and clinics to get in touch with the native office if any problem regarding insurance policy arises. The same thing would be difficult or even impossible if the insurance have been purchased in a foreign land. Once America visitor insurance is purchased, the visitor medical insured policy holder is sent an identification card (ID card is pdf document in email for online fulfillment which can be printed or paper ID cards that are sent in regular U.S. postal mail for offline fulfillment). This I.D. card needs to be displayed for proof of coverage at the time of seeking medical assistance from a hospital, doctor, laboratory, or any other authorized medical care giver. The insurance company will furnish such a clinic or hospital with written instructions for the likely medical expenses that can be claimed under the policy. International visitor insurance are limited lines travel plans for USA travelers, persons immigrating to the US, plans for parents, relatives or friends visiting the US, plans for U.S. citizens traveling, studying, working or living overseas outside the US, plans for international students for short-term travel. Quote, compare, review, rate, and buy / purchase a visitor medical insurance plan instantly online today, no medical check-up is required. You can have different options or riders attached with each type of travel medical insurance policy, including protection from risk of terrorist attacks or protection from risk arising from hazardous sports activities such as skiing, white water rafting, sky diving, etc. You can renew your policy upon your return trip, and some plans also provide end of trip home country coverage for a brief period. The cost of a visitors medical insurance policy depends on the age and gender of the insured person, the coverage level – comprehensive or fixed, maximum benefit amount, and the length or duration of stay in the visited foreign country. Different plans have different plan deductibles, which is the amounts that you pay before the insurance company pays anything for coverage benefit. These typically range from $0 to $2,500, with $250 usually being the standard deductible. Choosing a zero deductible policy rates up the premium costs. Comprehensive benefit plans typically have a co-insurance component, and these amounts also vary. Co-insurance is the percentage or amount of covered expenses that you pay after deductible usually to the first $5000 in incurred costs. So a plan offering a 10% co-insurance factor would typically incur a maximum out-of-pocket expense of $500 for the insured, if claimed amount is greater than USD5000. However, some visitor insurance plans offer wavier of any co-insurance amounts borne by the insured, provided the hospital, doctor, lab, or any other health care giver who treats the insured, directly bills the visitor insurance company for any charges incurred. Beyond the deductible and co-insurance amount, the visitors health coverage plan pays the associated medi-cal costs upto the plan maximum cover selected or insured during the purchase of the policy. Travel medical insurance plans contract with nationwide Preferred Provider Organization (PPO) networks, and in some instances have contractual agreements with international health care networks also. Many plans utilize the services of large PPO networks such as First Health which provides national PPO network access and other cost containment programs to help travel medical insurance companies manage visitors health insurance plans. By aggressive negotiations and acquisitions, the PPO network used has expanded rapidly all parts of the US / Canada, where any doctor clinic, laboratory, hospital or caregiver can be searched by zip code and sorted by specialty of medical service. Group Travel Medical Insurance or Group Travel Health Insurance policies offer savings in the premium rate for groups of individuals traveling outside home country. These plans are suited for non-US citizens who are traveling in a group and visiting the United States or traveling to any other international destination outside home country. Group Travel Insurance also suits USA citizens who are traveling abroad as a group to any nation outside the US borders. Most travel health insurance plans require you to pre-certify any claims by calling the 800 toll-free number on the back of your ID card, and the visitor insurance plan administrators are available 24/7 365 days of the year. One your have used the medical services by presenting your visitor insurance plan details, your health care giver such as the physician clinic, laboratory, hospital, etc. will directly bill the visitor insurance company for the incurred claims, if they belong to the PPO network for your plan. Otherwise, you would pay medical charges yourself and submit a claim to the visitors insurance administrator by filling out a claim form. After this, any claim made, will be evaluated by the visitor insurance providers and it will make payments to the hospital or physician clinic or laboratory for the appropriate payments on your behalf, often called as cashless direct billing, or reimburse you the amount if it was paid by you. The amount payed to these health care providers is based on the Usual, customary, and reasonable (UC&R) charges model in the travel health insurance industry for health provider in your local zip code. UCR charges mean that the charge is the provider’s usual fee for a service that does not exceed the customary fee in that geographic area, and is reasonable based on the circumstances. Instead of UCR charges, PPO network plans often operate based on a negotiated (fixed) schedule of fees that recognize charges for covered services up to a negotiated fixed dollar amount. Some travel health insurance companies may also cover injuries under visitor health insurance which you may have to bear because of accidents, war or terrorist activities. Depending upon the plan, the companies may either reimburse the costs you incur during the treatment or it can also assist to directly pay your bills at the concerned clinic, laboratory, hospital or caregiver. It is in the best interest of the visitor insurance company and the medical care giver to work with you to ensure that the claimed charges are settled. Visitors Insurance, which is a form of travel medical insurance or travel health insurance or visitor travel insurance is mandated by law, and hence the prices are same and cannot be rebated i.e. you pay the same fixed cost for same plan product / optional riders, no matter if you buy direct from a travel insurance company, the visitor insurance providers, any visitors insurance agent, even if another visitors insurance agency claims to offer the cheapest quoted rates for any giver visitor insurance plan, or to carry the lowest cost, cheapest, best affordable quoted rate available for a given plan. Visitor medical insurance offers a worry-free option for international travelers, parents/relatives or friends visiting USA or Canada or any other country out home country, any individual or family can travel abroad stress-free knowing that they are adequately protected for medical emergencies in a foreign land by buying a visitors insurance plan. Get a free visitors insurance quote today, review the plan information, read about the policy ratings, rankings, but don’t have a second thought about the purchase a visitors insurance plan for your next trip abroad. Be insured with a visitors health insurance plan and have a safe journey. Bon Voyage and have a safe, worry-free and enjoyable trip!